When you get the news that a loved one has been arrested, your first instinct is that you need to move as quickly as possible to get him or her released. This makes sense, of course, because it’s hard to think about someone you care about having to spend time behind bars. Chances are that you’ll be thinking of bail bonds as an option, and that’s a good idea. After all, if you can’t afford to bail the bail amount yourself, turning to a local bondsman is going to make your life easier…if you choose the right bondsman, that is. But you’re in a hurry, so how are you supposed to make sure you find the bond agency that’s going to treat you right? That’s the topic we’ll be covering in today’s post, so if you’re in a situation where you need to find the right person for the job, we’ll show you what you can do from the comfort of your computer or smartphone to make sure you make the right choice the first time around. Keep reading to learn more! 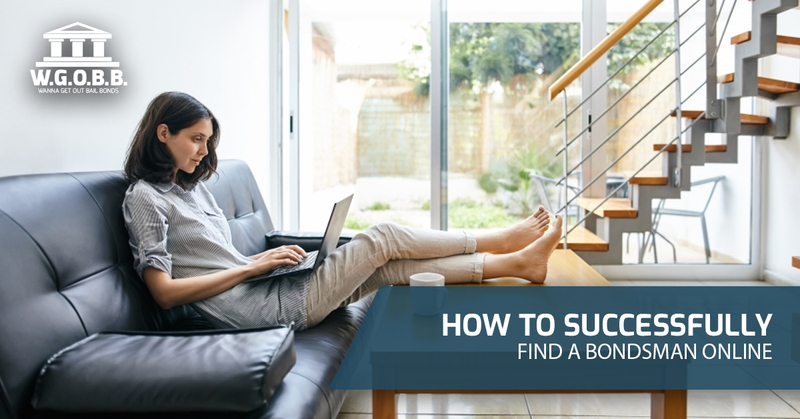 This one is probably obvious for many, but we have some tips for you if you’re unsure of how to get started. If you’re located on Oahu like we are, you might start your search by typing something like “bail bonds near me” or “bail bondsman Oahu” into your favorite search engine. This will give you a great list of options to look into first. In this day and age, finding the right company for the job has never been easier. So now that you have a couple of options, it’s time to move onto the next step. Just because a company shows up at the top of the list of search results doesn’t necessarily mean they’re the best ones for the job. For example, did you know that many search engines utilize ads for a company to rank towards the top? In other words, a particular business might be paying for their company to be the first result. You can tell if they’re doing this — which isn’t necessarily a bad thing, by the way — if the search result says “Ad” next to it. Either way, whether you found a company who used an ad or not, it’s in your best interest to read reviews for a company. As with anything, you’re looking to gain an overall picture of what the company is like. When you look at the big picture of what people are saying about a particular company, it gives you a pretty good idea of what to expect. Once you’ve narrowed it down even further, the next step is to check the company’s website. This can provide you with a lot of useful information that helps you to make your final decision about which bail bondsman to call. For example, you might be wondering if a particular agency accepts credit cards. You may also be wondering if they have flexible payment plans. Although there are too many different scenarios to cover every single question a person might have, a good website will provide you with valuable information about what you can expect. So you’ve Googled, you’ve read reviews, and you’ve checked the website to see if it’s professional and up-to-date. What’s next? Our advice is to speak to the bondsman you’re considering on the phone. Allow us to offer a bit more advice: if the person you’re speaking with on the phone doesn’t seem to know the answers to your questions, look elsewhere. If the company you thought you wanted to use can’t even help you, you’re in for a rough road ahead. The good news is that at Wanna Get Out Bail Bonds, we pride ourselves on offering professional service and affordable bail bonds. Whether you found us through a friend or through an online search, rest assured that when you partner with us, you’ll be in good hands. Contact our team today!